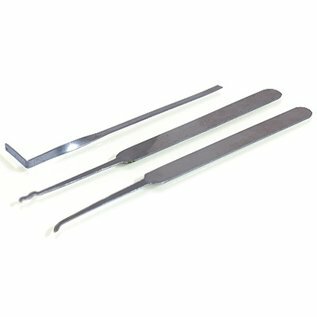 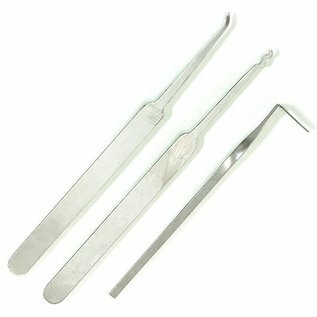 Lock Pick Set - Turning Tool and 2 different types of Picks (one Hook and one Rake). 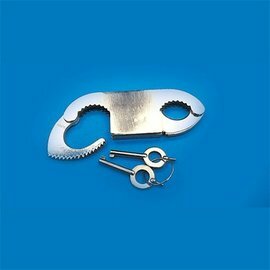 Lock Picking Set - Includes: Turning Tool, Hook Pick and Rake Pick. 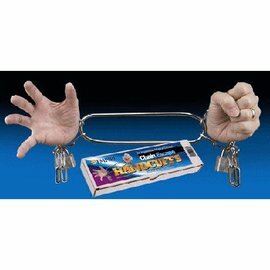 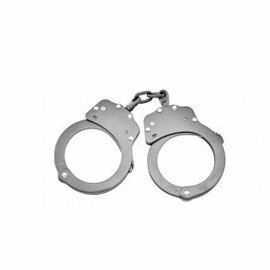 This is a must have for escape artists as well as magicians.